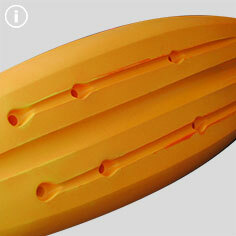 Allows great maneuverability in moving water and allows the paddler to cruise with ease on the flat. A great feature for the Fusion. 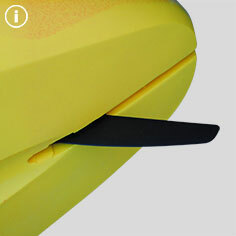 It'll keep you tracking in a straight line with no hassle at all. 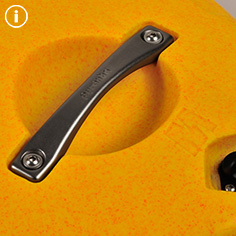 The drag-reducing skeg box allows water to flow freely through the stern of the kayak. Comes with deluxe spec. A KajakSport hatch gives holds plenty of gear for an overnight trip. 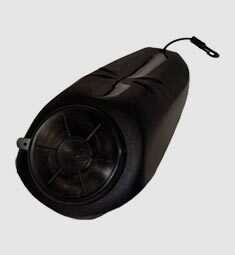 Removable storage pod, great for quick access to essential gear. 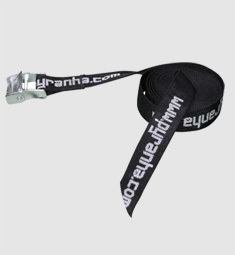 New 2014 Aluminium grab handles are stronger and more durable. 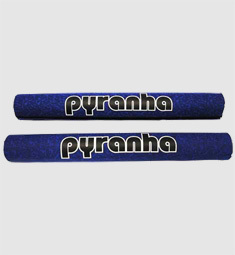 Attached with captive inserts for a drier ride. 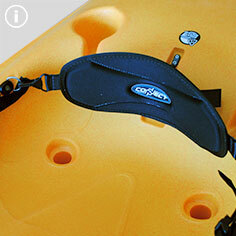 Footrests moulded into the kayak are hard wearing, with no need to make adjustments every time someone new wants to have a paddle, you can just get on your kayak and concentrate on where you are going. For greater performance and control. Fully adjustable, contoured fit for comfort. 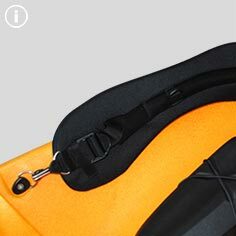 Comfortable backrest for added support. Comes with deluxe spec. 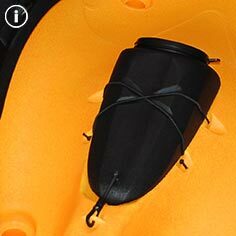 Seal The KajakSport Hatch On Your Pyranha Kayak The Easy Way! Team Paddler Matt Cooke proves the performance of the Fusion SOT on whitewater, the surf and the flat. 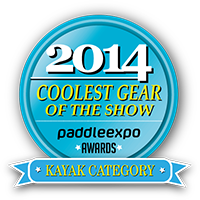 Our pride in the Fusion SOT was already at an all-time high, but seeing it win the Coolest Gear of the Show award in the Kayak category at PaddleExpo 2014 was really the icing on the cake for us. Andy Butler taking a pre production Pyranha Fusion Sit on top through it's paces at the Tryweryn in North Wales. From white water to slow moving waters and the dry hatch makes for some awesome overnight experiences, and you don't even have to own a skirt! Every time we've taken the Pyranha Kayaks Fusion Sit-On-Top out on the water it's made us smile and that says it all really. It wants to give you a good time, it wants to get out on the water do a little exploring and have a laugh... it wants to play. If you want a sit on top that's up for anything and will inject a very health dose of fun into every out in then F is for Fusion. 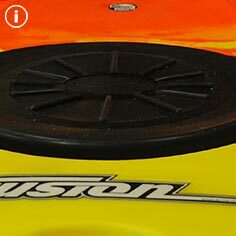 The Fusion SOT is basically about removing limits and allowing you to access many different types of paddling and watery environments as it can, and all while supplying you with as much fun as possible. Imagine catching eddies and surfing waves on a mellow white water run then dropping the skeg and cruising along a calm estuary before paddling out in to the break and catching a few fun waves in the surf. Oh, and want to rock hop around the coast afterwards, it'll do that too. A really fun kayak to paddle! 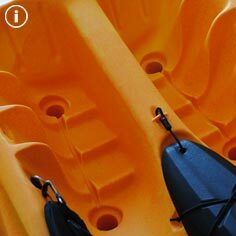 Not only is this ideal for the recreational user but it is also great fun for whitewater paddler and is something that they can get enthusiastic and excited about too! We were able to surf and flat spin without feeling like we were going to capsize, great for beginners and not limiting to the more advanced paddlers.